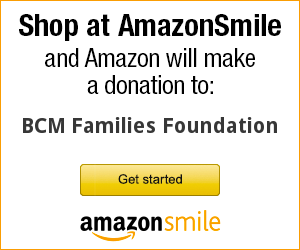 BCM Families Foundation is a patients-driven non-profit organization founded in 2014. Its mission is to eradicate Blue Cone Monochromacy. (More about Board of Directors, Scientific Advisory Board, Collaborations, Events). Blue Cone Monochromacy is a rare genetic retinal disease inherited through the X chromosome. Find more information about symptoms, causative genes and inheritance, retina and cones, differential diagnosis, clinical studies, molecular genetics and gene therapy. How your DNA can be tested for Blue Cone Monochromacy. Who and where are ophthalmologists expert about Blue Cone Monochromacy? How BCM patients with a DNA test report can participate to the International Patients Registry for Blue Cone Monochromacy. Find more resources about low vision, school integration and diagnosis. BCM Families Foundation supports scientific research toward gene therapy. You can make an importance difference by sending your donation today. BCM Families Foundation maintains a forum dedicated to discussions about Blue Cone Monochromacy. Meet other families with Blue Cone Monochromacy and share your problems and solutions. Please join also our facebook closed group named ‘BCM’.